Crossgates is proud to, once again, host The Regional Food Bank of Northeastern New York’s 34th Annual Holiday Hunger Appeal starting on Wednesday, November 14th. 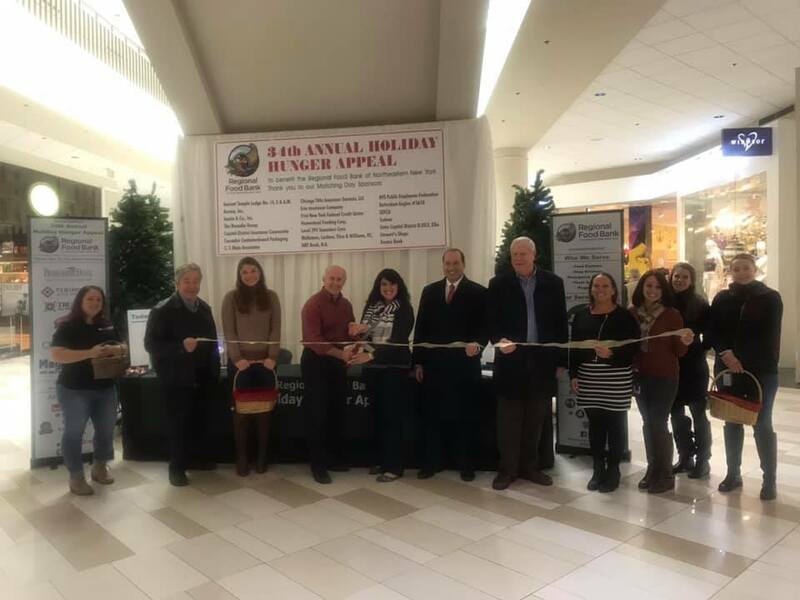 From November 14 – December 24, shoppers can make monetary donations to the Regional Food Bank as they pass by the Food Bank’s booth located on the lower level of Crossgates outside of Lord & Taylor and the Apple Store. Volunteers will be collecting daily from 10a.m. – 9p.m. Each dollar donated goes a long way toward feeding the hungry, as the Food Bank provides four meals worth of food for every dollar it spends. Last year’s Holiday Hunger Appeal raised over $500,000 for the Regional Food Bank. Major sponsors of this year’s Appeal include Crossgates, Berkshire Bank, Fenimore Asset Management, Hannaford Supermarkets, MAGIC 100.5FM, Trustco Bank, and Total Events.